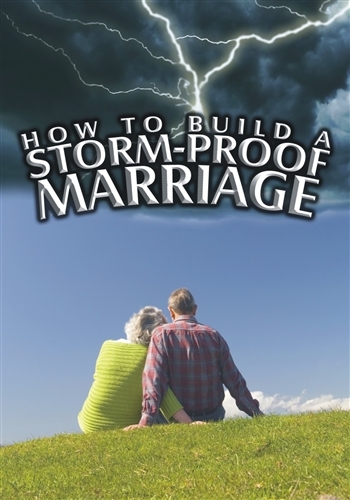 There is no such thing as a marriage without storms. 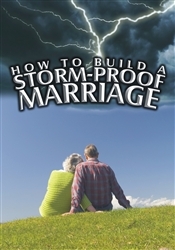 Paul promised that those who marry “shall have trouble in the flesh.” Since all marriages have problems, why do some divorce and some do not? Because one home is solidly put together on a foundation where two people are living out God’s truth on a daily basis! They’ve used wisdom, understanding, and knowledge to build a house with a solid foundation that wind & rain & floods can’t bring down. Rock of a covenant instead of the sand of a contract. Rock of humility instead of the sand of pride. Rock of communication instead of the sand of silence. Rock of unconditional love instead of the sand of emotion. Rock of acceptance and praise instead of the sand of anger and putdowns. Rock of building each other instead of the sand of inactivity. Rock of changing instead of the sand of stubbornness. Rock of salvation instead of the sand of religion.